Products & Services-> Floral PackTriple starter pack,Pefectaire microbe solution drops. 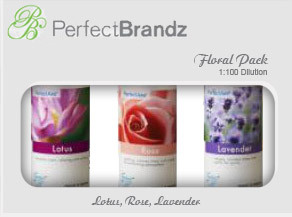 The Floral Pack is a blend of Lotus, Rose, Lavender, Each a 40ml bottle! Fill your home or workplace with the refreshing smell of spring, add a touch of floral to brighten dull days.